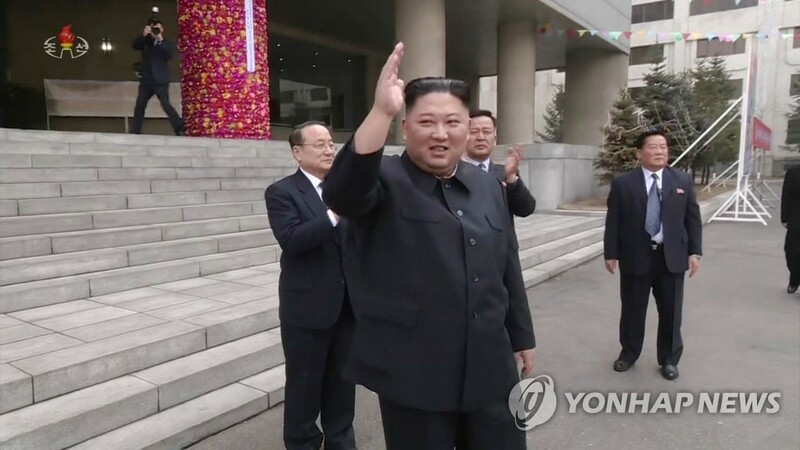 SEOUL, March 10 (Yonhap) -- North Korea held parliamentary elections Sunday, a key political event likely to cement national unity and leader Kim Jong-un's grip on power amid uncertainty over tough nuclear negotiations with the United States. The communist state will elect new deputies for the 14th Supreme People's Assembly, its rubber-stamp legislature, in the polls held every five years. They will replace those picked in the first parliamentary elections under the current leader in March 2014. 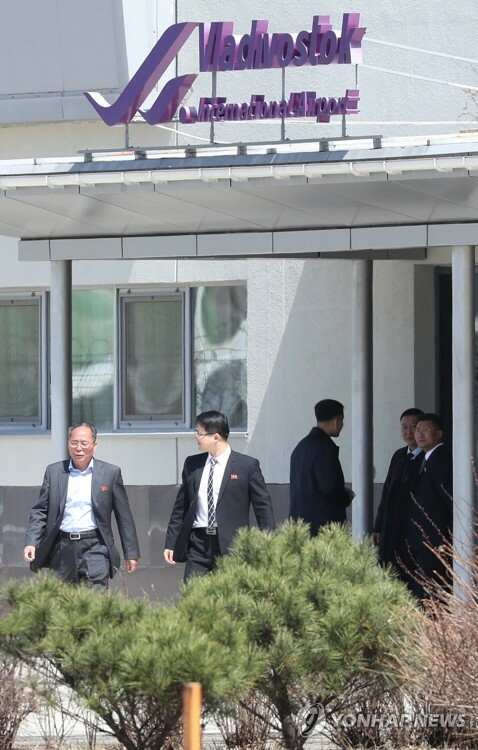 North Korean voters, aged 17 or older, cast their ballots between 9 a.m. and 6 p.m.
Kim also participated at a polling station at Kim Chaek University of Technology in Pyongyang after arriving there at 11 a.m., the North's official Korean Central News Agency (KCNA) reported. The leader voted for Hong So-hon, the president of the university who is a parliamentary candidate. 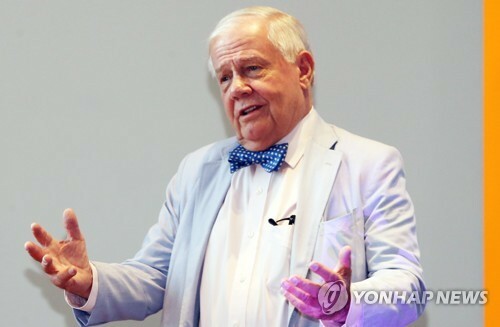 "He gave a pep talk to (Hong), asking him to work well so that the university could fulfill its responsibility and obligation as the eldest son most trusted by the Party to make a breakthrough in improving science and education, invigorating (the) economy and bettering the standard of the people's living," the KCNA said. 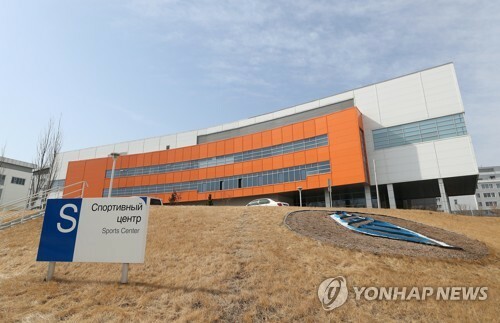 "The count of votes for the candidates for deputies to the SPA registered in relevant constituencies is being carried out at constituencies across the country," the KCNA said in another English-language report. As of 6 p.m., "all the electors registered on the voter rolls in all constituencies across the country for the election of deputies to the 14th SPA attended the voting, except for those abroad or working in oceans," it said. Earlier, the news agency said 92.35 percent of all registered voters had cast their ballots as of 3 p.m. The candidates include workers, farmers, intellectuals and soldiers that are striving to uphold leader Kim's ideology and leadership, and backing his push for national development, according to the state media. There is only a single candidate registered for each constituency. 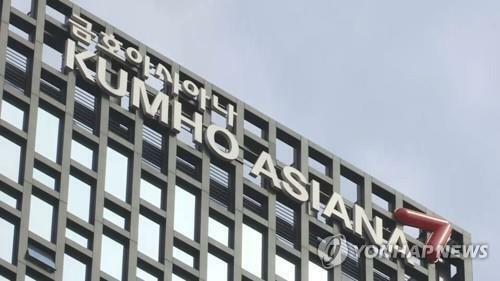 Observers said that Pyongyang might use the political event to further reinforce national cohesion and have its people coalesce behind its ruler, particularly after last month's breakup of the Hanoi summit between Kim and U.S. President Donald Trump. The second Trump-Kim summit on Feb. 27-28 ended without a deal as they played hardball over the scope of Washington's sanctions relief and Pyongyang's denuclearization. But both sides appear willing to keep their dialogue alive. 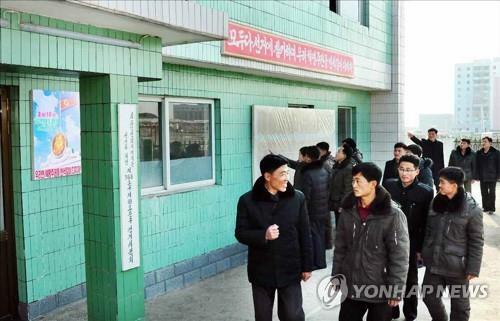 The Rodong Sinmun, the daily of the North's ruling Workers' Party, carried an editorial that stressed the election will manifest people's "fixed will to firmly trust and uphold" leader Kim. "Every ballot cast for the candidates for deputies reflects the loyalty to firmly defend the unique idea of the great leaders on building people's power and their exploits," the editorial said. "Each approval ballot is an expression of the fixed will to further cement the people's power and dynamically step up the building of a powerful socialist country," it added. The voting is largely considered a formality. The official voter turnout was tallied at 99.97 percent for the last election, with 100 percent voting for the approved candidates. The results of the 2014 elections were announced two days after the voting day.